This listing is for an antique 'Cosmos' pattern oil lamp font. It is in excellent condition with no chips, cracks, or repairs. It measures 7 1/4" high. 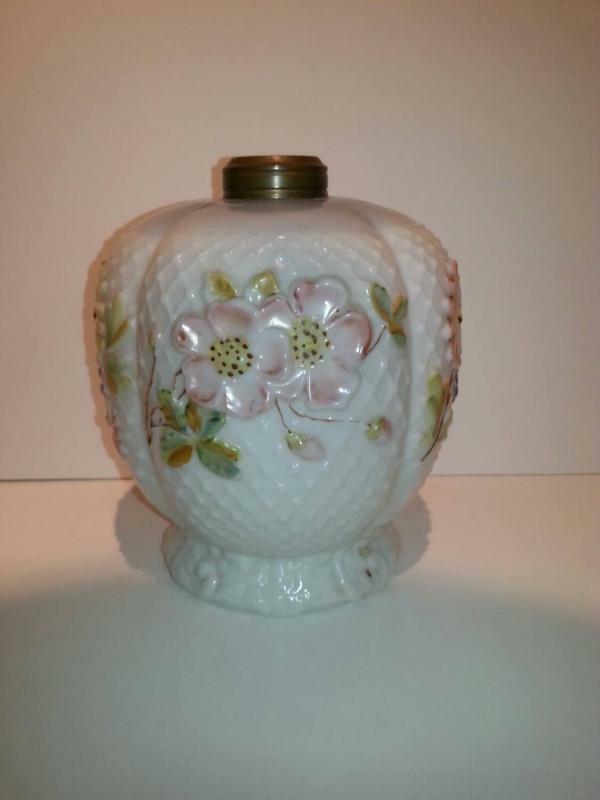 Items Similar To "Antique 'Cosmos' pattern glass oil lamp."